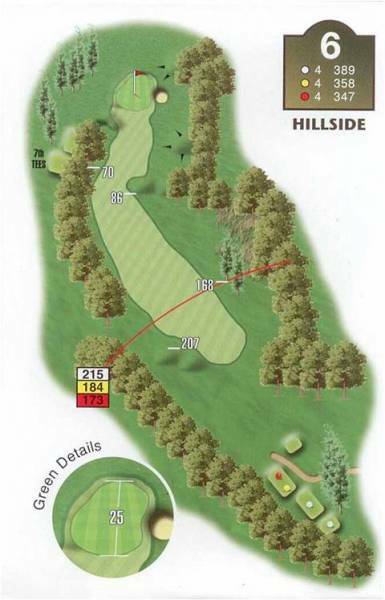 "Drive the ball down the left-hand side of the fairway and you will find the perfect approach into this small undulating green. A right-hand side approach requires the skill of a surgeon to delicately land the ball and stop it on the green. Short game skills will be tested here as this unassuming hole causes more problems that accumulate as positioning is lost."